I am a pretty extreme relativist on food choices: I think they’re deeply, deeply personal. I am confident that it is 100% correct for some folks to eat a vegan diet, while is just wrong for someone else. In my book, everyone ought to eat what makes them feel physically and emotionally well. I am personally comfortable eating eggs from the greenmarket, but tend to avoid buying my eggs in the supermarket. After a lot of reading and thinking, I have found a way of eating that is right for me right now. That was a long way of saying, it was Thursday and I wanted to make ice cream. I would typically buy eggs on Friday or Saturday at the greenmarket, but it was Thursday and I wanted ice cream. And there’s this. So I made ice cream without eggs. I was really happy with the finished texture of this ice cream. 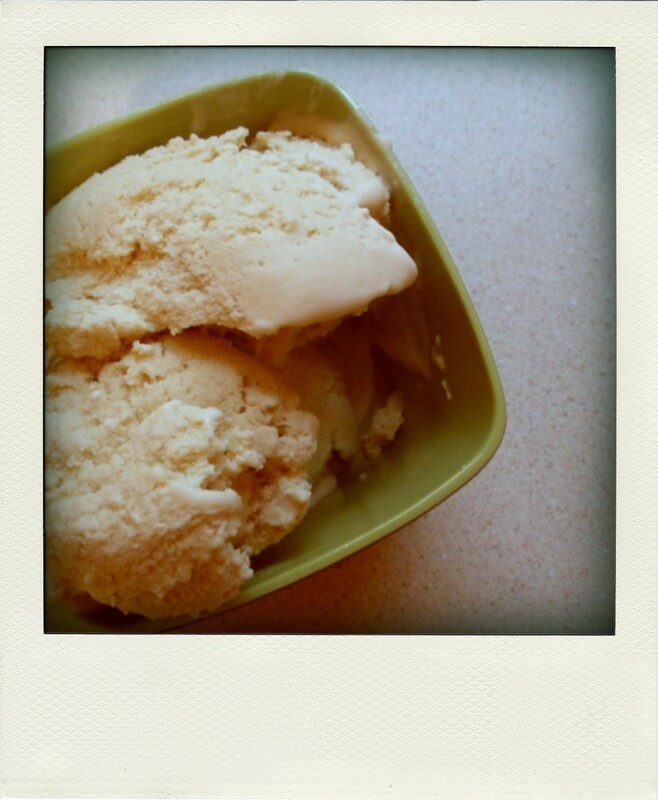 I am not ashamed to admit that it’s better than a lot of custard-based ice creams that I have made. I am definitely going to use this (more economical!) eggless ice cream base in the future. 1. Place the arrowroot in a small bowl. Measure out the milk and pour enough of it into the bowl of arrowroot to make a pourable mixture. 2. Put the remaining milk into a small saucepan, along with the heavy cream, brown sugar, and salt. 4. When it is just about to bubble, stir in the arrowroot/milk mixture and remove from heat as soon as it begins to thicken. This is a pretty quick process and I’d recommend continuing to stir for a bit–even after you’ve shut off the burner–until you remove it from the pan. You shouldn’t need to strain it, but if it seems a little lumpy, press it through a sieve. 5. Let cool to room temperature. Add bourbon and vanilla and refrigerate until completely cool, ideally overnight. 6. Process in your ice cream maker according to the manufacturer’s instructions. If you don’t have an ice cream maker, don’t despair. I’ve included some links below for making ice cream at home without a machine. Oh my goodness. I need to make this, as soon as possible. And shockingly, all I have to buy is the bourbon! When I got my ice cream maker, the recipe book came with many basic recipes for ice cream without eggs, and they all had essentially this base, only without the arrowroot. What does it do in the recipe? Is it a thickener, or does it add richness to the texture? Thanks for asking about the arrowroot! It is a thickener, like corn or tapioca starch. I was going for super-creamy and wanted to create a custard without the eggs, so I used that to thicken the base. I ripped off the strategy from jeni’s, the eggless ice cream that everyone raves about. I scanned their ingredient listings and saw they used tapioca starch a lot. It was a little extra insurance against the icy-ness that can sometimes plague homemade ice cream. If you were thinking about omitting it, the bourbon should keep it scoopable. The worst that can happen is you’ll have to let it sit out a little bit before you scoop. 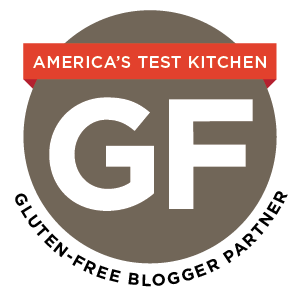 It’s an ingredient that most gluten-free bakers would have on hand, but definitely a weird one for other folks.